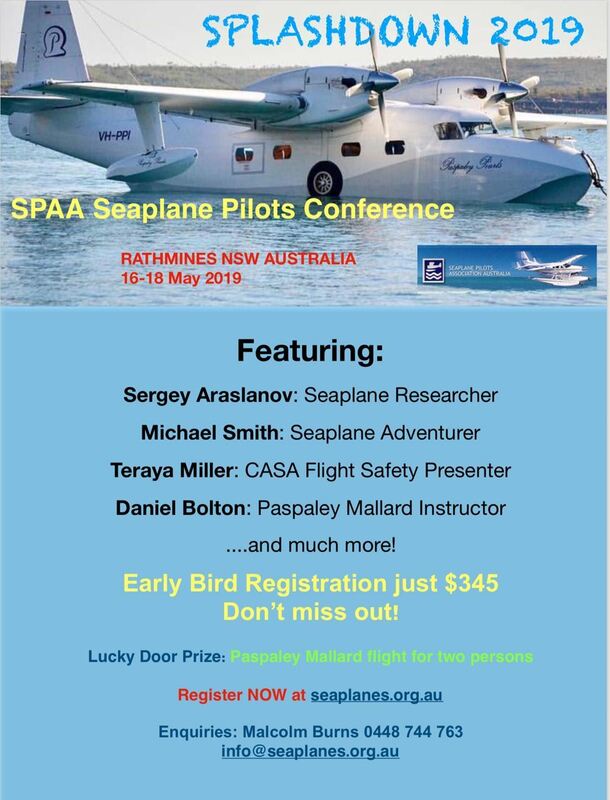 Includes 12 Months SPAA Membership and all sessions and meals at the SPAA Conference! Guest Registration is ONLY for the Partners (non-pilot) Program. Additional Conference attendees must register separately. Do you want to attend the evening events without registering for the whole conference? Join with Conference Delegates for the evening dinners on Friday AND Saturday evenings. You may also bring a guest (or guests) along. Join with pilots for Friday night dinner at 'Club Catalina' and enjoy an entertaining Seaplane presentation. Includes all sessions and meals at the SPAA Conference. Also includes SPAA membership renewal until 1 July 2020. Guest Registration is ONLY for the Partners (non-flying) Program. Additional Conference attendees must register separately. Would you like to attend EVERY night event at the conference without registering for the day sessions? This option will enable you to attend the Thursday night movie and dinner AND the Friday night presentation and dinner AND the Saturday night dinner and dance. Join with the Conference Delegates for the Thursday dinner and movie AND the Friday dinner and presentation. Register HERE for Splashdown 2019!